When I was younger, my family had an Irish Wolfhound as a pet. For those of you who are unfamiliar with the Irish Wolfhound breed, they are, on average, the tallest breed of dog. They are the size of small pony, with the most gentle, protective, and obedient personalities. 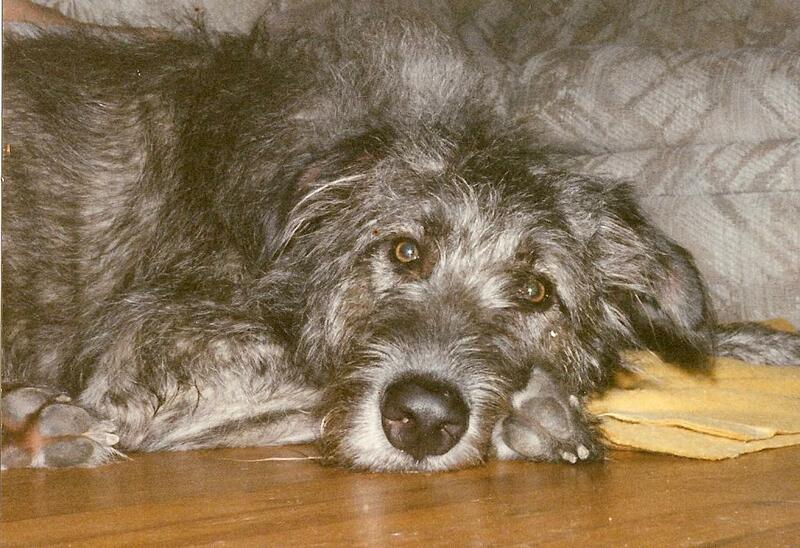 Our Irish Wolfhound’s name was Gideon, named for the angel, Gideon, in the 1985 movie, One Magic Christmas. Sadly, as with many large dog breeds, their lifespan is not long and we lost him long before anyone was ready. It was an honor to have Gideon in our lives. My siblings and I remember the day our family first met Gideon. He was a few months old at that point. The breeder, an older woman, had initially planned on keeping him, but quickly realized she didn’t have the stamina for another pony-sized puppy. As my parents and the breeder sat inside to discuss the purchase details, my siblings and I were send outside to play with the ‘puppy’. This ‘puppy’ was already the size of a full grown German Shepherd with all of the energy of an 8-week-old Labrador. He wanted nothing more than to romp around that yard and tackle me and my sisters. We shrieked and screamed and laughed. And when the negotiations were complete, we took our new puppy home. But this post isn’t really about Gideon. It’s about Gideon’s fudge. My mom has been making this fudge at Christmastime for as long as I can remember. 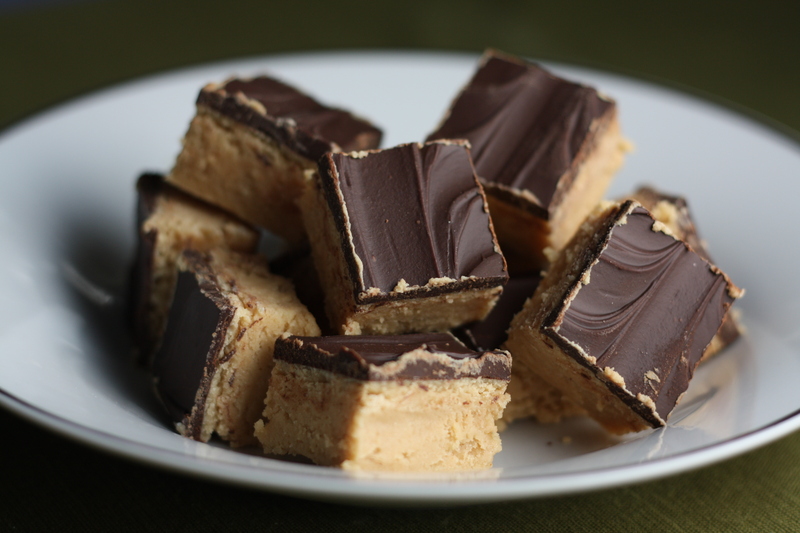 Each year, she’d make a two-pound batch of the fudge, package it in a tin or plastic container, and place the fudge on a counter, along with the other annual Christmas goodies. Well, Gideon’s head was easily counter-height, a fact we too often forgot. You can imagine what happens next. My family arrived home one day to find Gideon, lying on the living room floor, moaning as his stomach furiously growled. It didn’t take long to find the empty container of peanut butter fudge. Thankfully, a call to the veterinary poison control center assured us that a dog his size would need to consume at least nine pounds of the chocolate-glazed peanut butter fudge to be in any real trouble. His bellyache eventually subsided and we all learned a valuable lesson about safe places to store food. 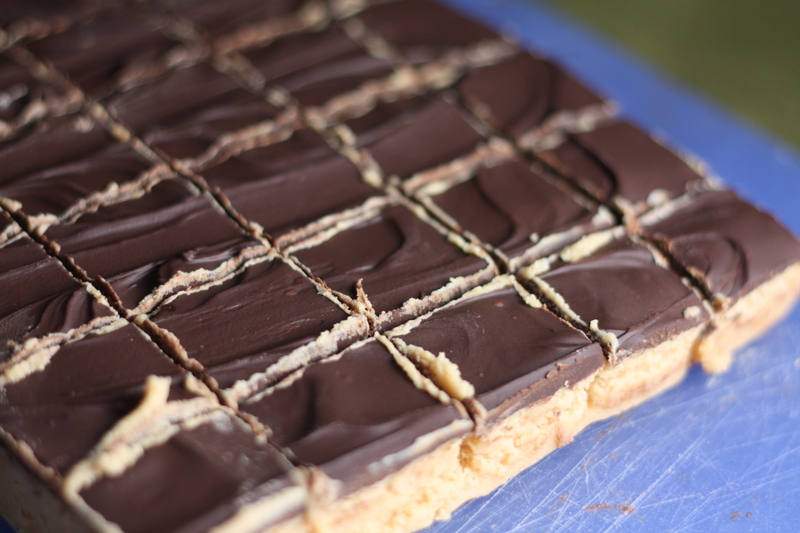 The origin of this recipe has long been forgotten, but to us, it will always be Gideon’s fudge. I’ve doubled the original recipe, since what are you going to do with an open can of undiluted evaporated milk anyway?? Otherwise, the recipe is the same as the fudge Gideon enjoyed years ago. It’s amazingly simple to put together and makes a great addition to any holiday treat collection. Store in an airtight container in a high place, safe from dogs, who will find the scent irresistible. One more little note… I haven’t tried it yet, but I suspect this recipe would easily make a nice chocolate fudge by substituting chocolate chips for the peanut butter chips. Lightly butter two 8×8 inch baking dishes or one 13×9 baking dish. Combine sugar, milk, butter, and salt in pan over medium heat. Bring to a full boil. Cook 4-5 minutes, stirring constantly. Reduce heat to medium-low if the mixture bubbles up too vigorously. Remove from heat. Stir in the marshmallows, peanut butter chips, and vanilla until melted. Pour the fudge into the baking dish(es) and cool completely at room temperature. Slowly melt the chocolate chips in the microwave or over a double-boiler. Pour the melted chocolate over the fudge. Refrigerate until firm. 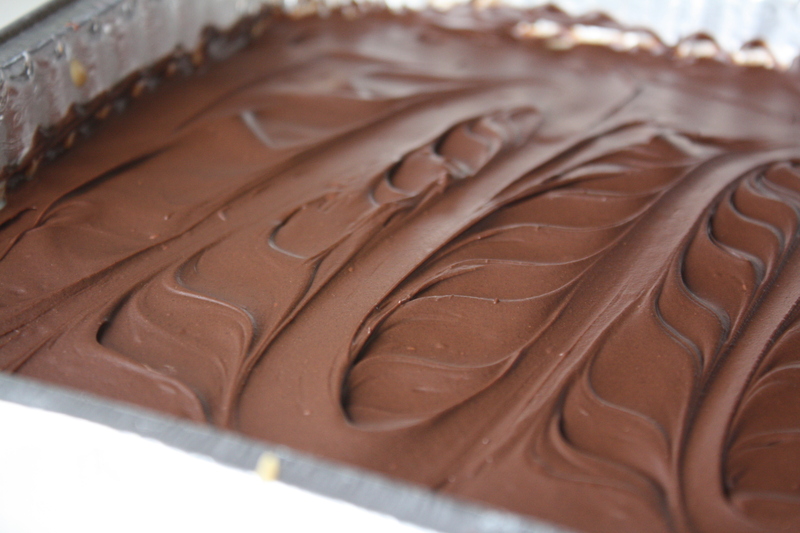 Remove the fudge from the baking dish and cut into small squares. Store in an airtight container in a cool place. Posted in Chocolate, Cookies, Desserts, Food, Recipes and tagged baking, chocolate, Christmas, cookies, Cooking, dogs, family, Food, food photography, holidays, Irish Wolfhounds, pets, puppies, Recipes. Bookmark the permalink. What a beautiful story. I have a dog myself so it tugs at my heart strings. I think it’s wonderful that Gideon can live on in memory through this fudge…it looks and sounds delicious! I have been looking for a PB fudge! Perfect timing. Love the cut pieces! So nice to hear the history of the renaming of this fudge. This fudge looks to die for! What a lovely story to go along with some fantastic looking fudge! Those look so good. I love peanut butter. I’ve had a chihuahua sneak on the table and eat an entire bowl of M&Ms, and a crazy little shitzupoo eat half of a chocolate Cherry Mash cake with fudge frosting. Neither seemed to suffer ill effects. Guess maybe it wasn’t enough of the wrong kind of chocolate? Dunno. Anyhow, when I have an open can of evaporated milk, I use it as a half-n-half substitute in my coffee or hot chocolate. Gives the body with a fraction of the fat (and no fat if using skim EM). Just wondering how well this holds up unrefrigerated…like to put on a cookie plate… Thanks! The fudge will make a great addition to a cookie plate. It should hold up fine at room temperature for a while. I’ve got another fudge recipe coming soon (Tutti Frutti Chocolate Fudge) that I’ve also been using on my cookie platters! 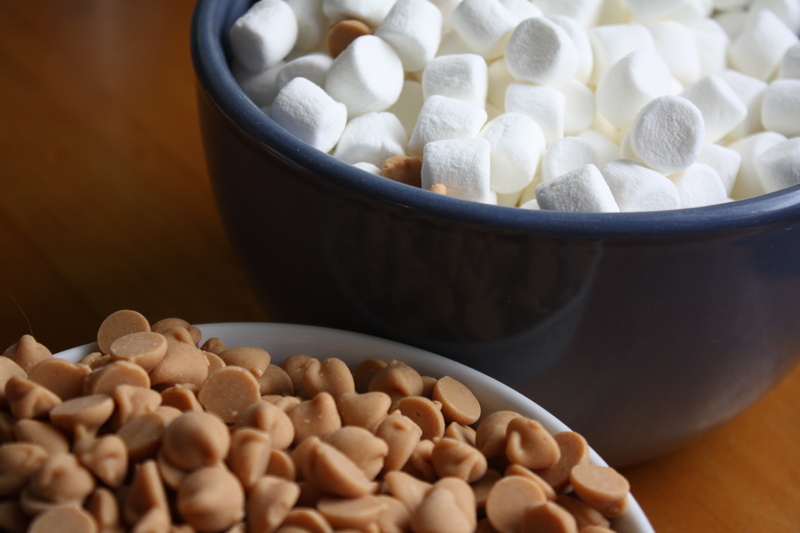 Just made this–the recipe looked great–but I had a really hard time getting all the mini marshmallows to melt. I had to put it back on med-low heat for a few minutes, stirring like mad, to get them to melt. Wondering why this happened, and hoping that the fudge turns out okay. How did the fudge end up turning out? As long as the sugar and evap. milk mixture is super hot, I’ve never had an issue with the marshmallows and peanut butter chips melting. It does take lots of stirring though. I’m not sure what would have caused your issue. Were the marshmallows fresh? I hope it turned out ok!